When I was just over six weeks pregnant I was sent the Unborn Fetal Heart Monitor to review and was recommended to wait until twelve weeks to use it. I was impatient and opened the box at ten and a half weeks and downloaded the free Unbornheart application onto my smartphone, plugged in the headphones and monitor and I was away! I had watched a video on YouTube showing me how to accurately pick up baby’s heartbeat and not my own and after a few minutes managed to find it. I was so relieved when I found it and using the doppler every few days made the next week and a half wait until my scan a bit more bearable. After losing a baby at 6 weeks, having a missed miscarriage and finding out at my twelve week scan having the monitor gave me the extra reassurance that I needed. Obviously in my last pregnancy I managed to get to twelve weeks but our baby had a rare chromosome problem so I was never completely relaxed this time even after hearing the heartbeat. I found the heart monitor even more useful when we went to Turkey when I was fourteen weeks pregnant I used it once a week whilst we were there. Having such a small monitor and using it through my phone made it really easy and convenient to travel with. Having the monitor has really given me the extra reassurance that I needed in this pregnancy and I continue to use it on a weekly basis even though I can feel baby moving and have let Oscar have a listen and he got really excited and keeps asking to do it again! This is a great product and I would recommend it to every pregnant woman as as well as being really reassuring it’s nice to listen to your baby’s heartbeat now and again. 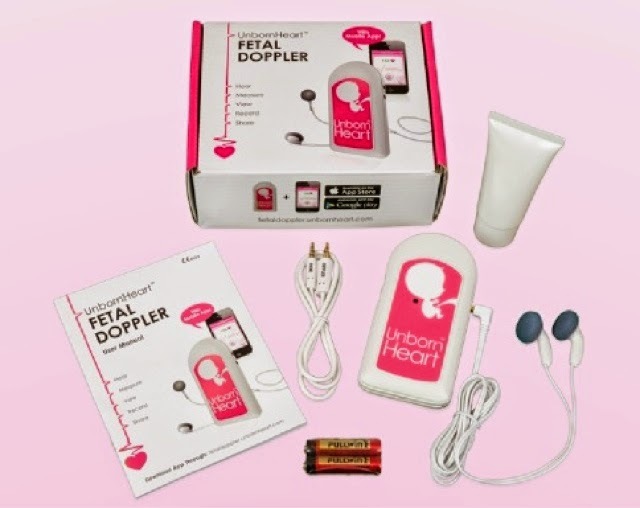 You can get the Unborn Heart Fetal Monitor for only £49.99 and comes with everything you need to use it, even batteries! 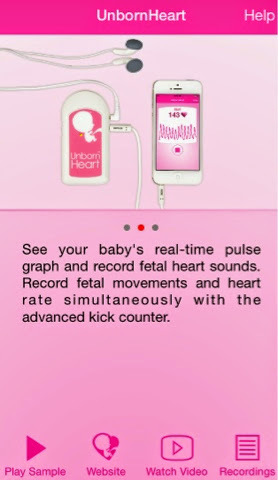 When using the app you can also record your baby’s heartbeat to listen to at a later date or share with family and friends. Disclaimer: I was sent this monitor in exchange for a review, all opinions are completely honest and my own. Thanks for sharing your idea with us ,Fetal doppler are safe to use ,I also used doppler when I was pregnant,Now its app is also availabe called as Baby doppler app,that times apps are in market ,But now would be mother can enjoy this phase by using app. Alicia recently posted…How to Take Care of Your Newborn? Here are a Few Tips!